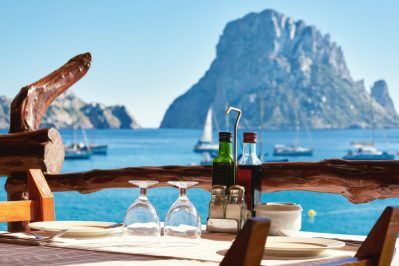 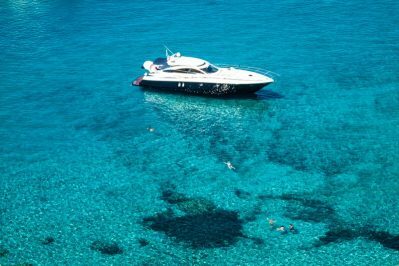 Based in the most luxurious port of Ibiza and next to the Lio restaurant, the motor yacht is docked at the front line at Marina Ibiza throughout the year. 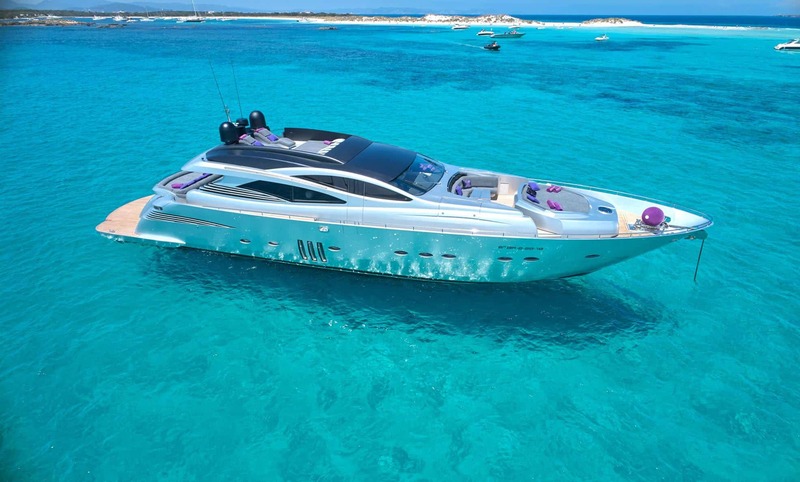 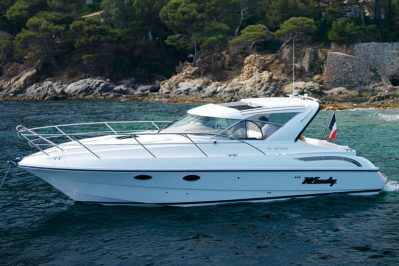 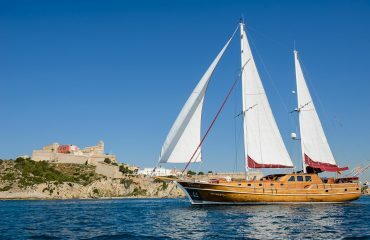 This yacht is one of the best options for those who want to sail the Mediterranean at high speed. 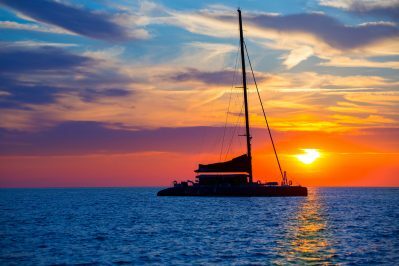 With all the comforts to welcome up to 12 people during the day and accommodate up to 8 guests in four en suite double cabins. 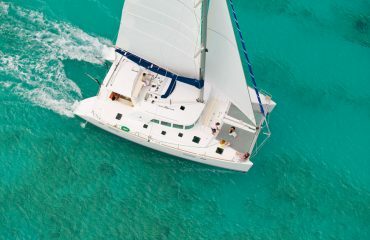 Located on the lower deck, they stand out for their spaciousness and modern style, equipped with all kinds of amenities, high-tech devices and private bathrooms. 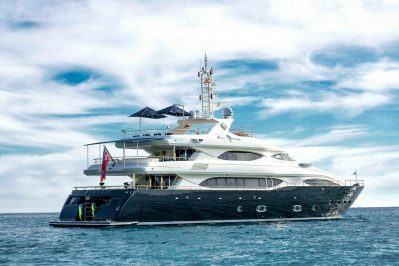 Thanks to the refit made in 2018, it has been equipped with state-of-the-art technology, including sound equipment, Wi-Fi, Apple TV and Satellite TV. 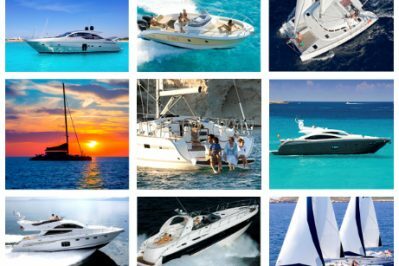 The boat also includes a wide variety of water toys to ensure a fun holiday, highlighting the seabob, jet ski and jet surf. 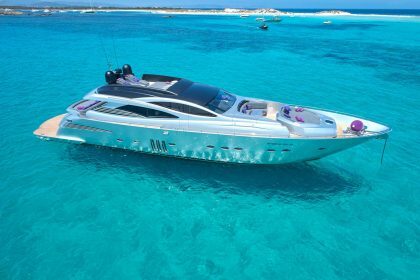 The crew of the Pershing 90 Yacht is composed of 4 members, including an extraordinary chef, and is ready to welcome you on board and show you the best secret places of Ibiza and Formentera. 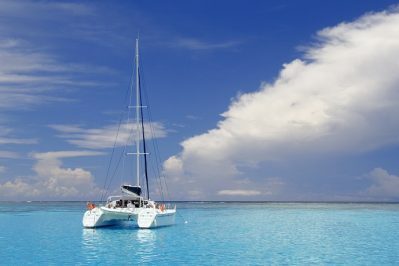 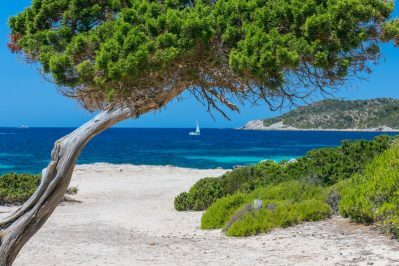 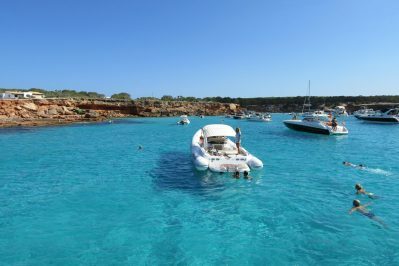 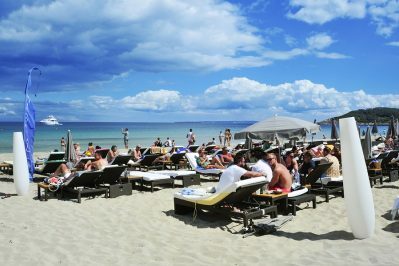 Why rent a catamaran in Ibiza will be an unforgettable experience?